Stocks are on the slide on Tuesday, threatening to push the Dow Jones Industrial Average down out of the long uptrend that started on Feb. 11. Here are seven to keep an eye on. 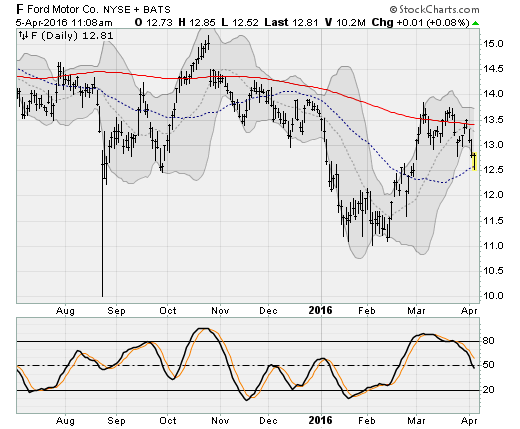 Ford (F) shares are testing below their 50-day moving average for the first time since late February. Although March auto sales were strong, there are growing doubts about the sustainability of the current pace of purchases given focus on subprime lenders and a flood of off-lease vehicles about to hit the used car market and depress prices. 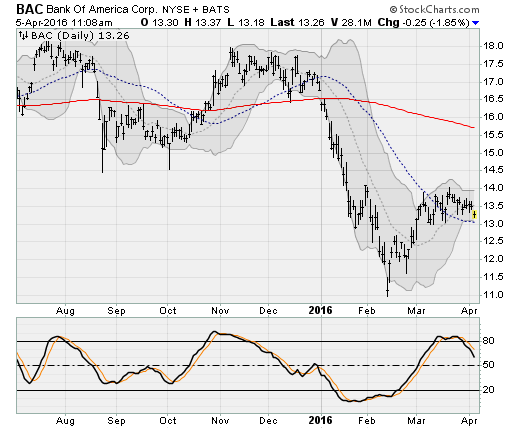 Bank stocks like Bank of America (BAC) are getting hit by a surge of strength in long-term Treasury bonds. That’s pushing long-term interest rates down and hitting the net interest margins that directly impact bank profitability. 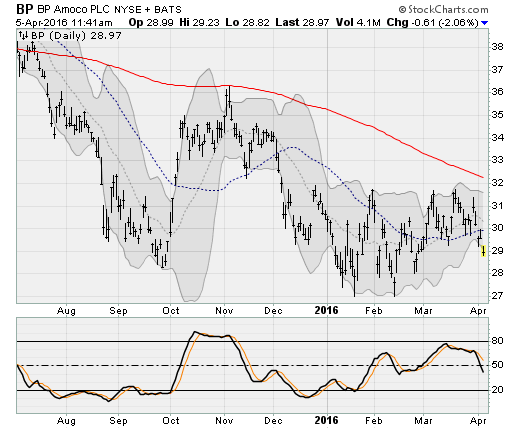 As a result, shares of BAC have moved to the lower end of a two-month consolidation range and look set for a possible test of their February low should the 50-day moving average be breached. 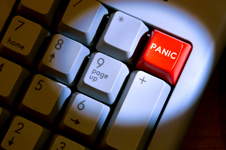 As a result, I have recommended the April $13 BAC puts to my Edge Pro subscribers. 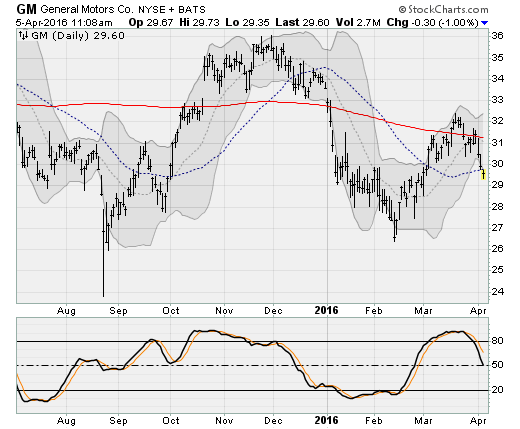 The same forces weighing on Ford have hit shares of General Motors (GM) as well, pushing them below their 50-day moving average from above for the first time since December. That’s great news for the April $30 GM calls I’ve recommended to Edge Pro subscribers. Morgan Stanley (MS) shares only saw a limited lift off of their Feb. 11 low and have been rolling lower ever since. A break of critical support near $24 would put the lows near $21 back in play. That’ll boost the April $24 MS puts I’ve recommended to my Edge Pro subscribers. 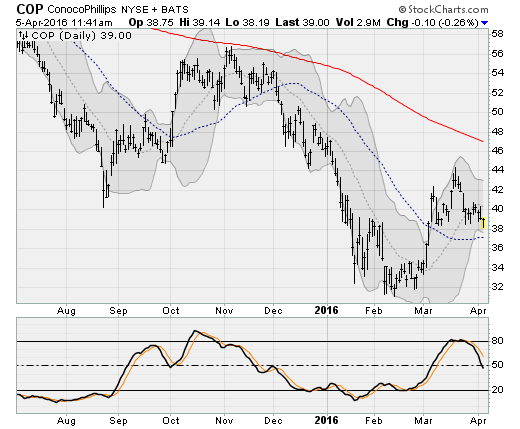 Citigroup (C) is resting on support near its 50-day moving average after drifting lower over the past few weeks. A long-term downtrend has been in place since last summer, ending a long sideways consolidation going back to 2013. 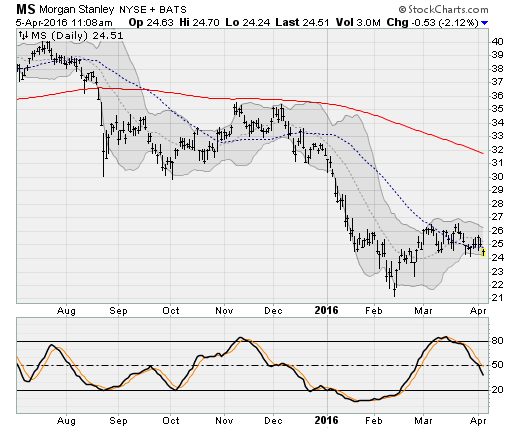 A break of support here would put the February lows near $36 in play. Crude oil prices are on the slide again as the long promised production freeze deal between Russia and OPEC has failed to coalesce. After peaking near $42.50 a barrel, crude prices are back near $35. As a result, BP (BP) shares have dropped out of a three-month uptrend pattern — being downed away from resistance near $32 going back to December. 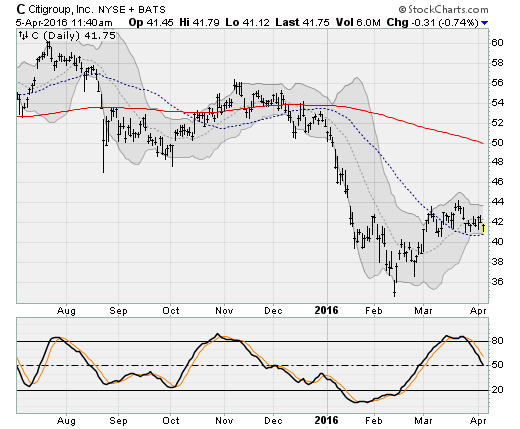 Warren Buffett’s “Big Four”: Should You Follow the Oracle of Omaha? Anthony Mirhaydari is founder of the Edge and Edge Pro investment advisory newsletters. A two-week and four-week free trial offer has been extended to InvestorPlace readers. Article printed from InvestorPlace Media, https://investorplace.com/2016/04/mega-cap-stocks-to-sell-or-short/.